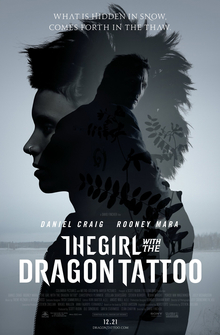 This adaption of the first novel in the Stieg Larsson’s Millenium series stars Rooney Mara as a hacker, Lisbeth Salander and Daniel Craig as journalist Mikael Blomkvist. Blomkvist is asked by a rich businessman to investigate the disappearance of his niece Harriet. Salander, who’s already been hacking Blomkvist’s computer, secretly helps him uncover clues. Salander meanwhile has her own problem with a sadistic legal guardian. The movie is directed by David Fincher and is 158 minutes long. Stars Amy Schumer and Bill Hader in what I assume to be a typical Judd Apatow film. A raunchy romantic comedy is what I’m expecting. Schumer plays Amy a magazine writer who loves to party and is who is sent to do an interview with a sports doctor named Aaron (Bill Hader). The film is 125 minutes long and is directed by Judd Apatow. 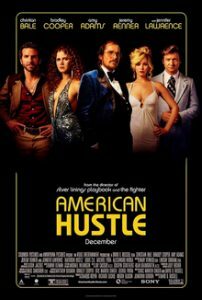 Inspired by true events American Hustle is about two con artists played by Amy Adams and Christian Bale who is forced by an FBI agent, Richie DiMaso (Bradley Cooper), to help with a sting operation involving corrupt politicians. The movie is directed by David O. Russell and is 138 minutes long.